The stunning building of Bluten stands high, providing a peaceful and a comfortable stay for the guests. The lobbies of the hotel have endearing wall paintings which leads the guests to the spacious rooms. These rooms have elegant wooden decor with basic amenities available for the guests, making it a comfortable accommodation. 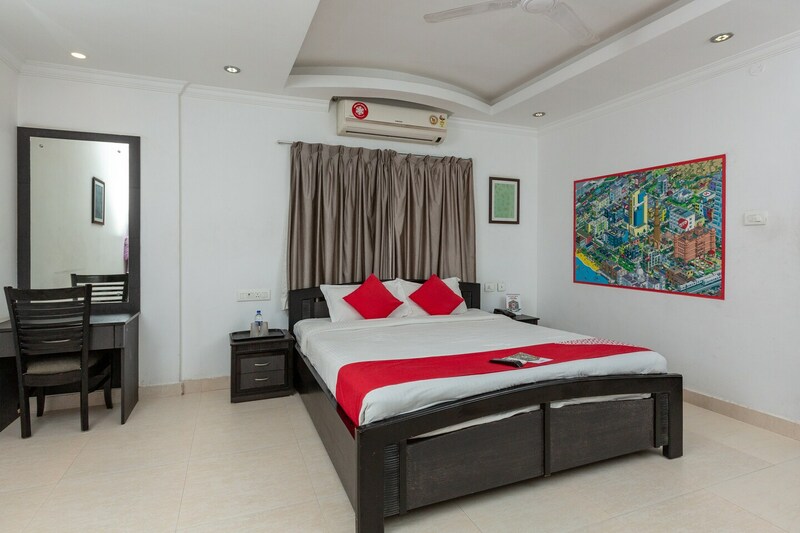 The pretty wall paintings of the room give a happy vibe to the guests. Bluten also has a dining area for the guests to have a tasty meal. They also provide free WIFI so that the guests stay connected with the world. With this, they also have power backup facility, parking space, card payments, and are protected by CCTV cameras.